Welcome to Anchored in Hope, a Christian website for anyone who is struggling or has endured many trials. Through these blog posts, we hope to encourage others with the encouragement we ourselves have received from God. We know that the only way to conquer suffering is to hold fast to the hope Jesus Christ has given us. If you are suffering, Jesus is by your side. You are His beloved. 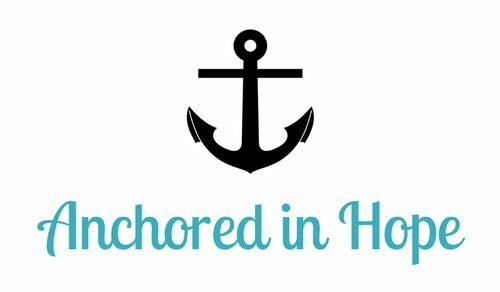 Based on Hebrews 6:18-20, Anchored in Hope is a Christian blog created by writer J.R. Eubanks. It is meant to be a place to instill into those who suffer the hope that comes from Christ. Want to submit an article, suggest a topic, send a testimony, or contact J.R.? Fill this form out, and she will get back to you as soon as possible. I was diagnosed with depression and anxiety. I left school, hoping against hope that I might finally feel okay again. I was so hurt by everything I’d gone through, I carried this weight of negativity and bitterness around. I was in a very dark place.